Whatever the cause of this problem is, one solution lies within a single population. The recent college graduate is someone who should be on every hiring manager shortlist. There are a few things that the average twenty-something just out of college has that a forty-something workforce veteran doesn’t. Three of these are high energy levels, fewer personal obligations, and the ability to be functional late at night and on the weekends. They also need the money. All of this means, they are more likely to sign up for that weekend shift or to work later to make a bit of extra money. You’ve worked hard to establish procedures that work for your organization. Now, who do you think is more likely to adapt themselves to those and accept your instruction? Is it the older worker who has spent years doing things their own way, or who has spent years at another company following an entirely different set of rules? Is it the recent graduate who still has a ‘plastic’ brain, and no preconceived notions that their way is the best way? If you guessed the latter, you would be absolutely correct. 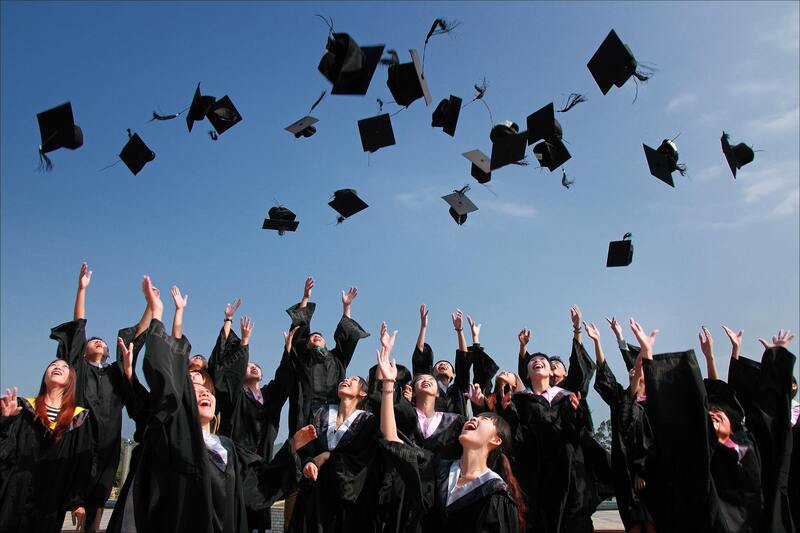 It’s true that recent graduates lack experience, and will need more supervision and training. On the other hand, they are more likely to adapt to doing things your way. Even the least self-aware graduate knows that they are inexperienced. They bear titles that prove that ‘trainee’, ‘entry-level’, and ‘associate’. Many will also deal with more experienced coworkers who are only too happy to remind them of their lack of experience. All of this means is that graduates entering the workforce are hungry. They want to prove their abilities, take on as much information as they can, and earn better titles and the pay that goes along with that. Think about the things you do to recruit talent. You scope out LinkedIn for possible talent. You reach out to recruits online. You research candidates on social media. Every interaction is done online for ease and convenience. Recent graduates are used to all of this. Recruit a college graduate, and you won’t have to worry about receiving a resume through the mail instead of online. They will be able to navigate your website with ease and comply with your recruiting guidelines. Want to incorporate video interviews? These are the candidates who can handle that with ease. These are folks who have grown up connected and using the latest technologies. They are comfortable with computers, IOT, mobile devices, and more. As students, many have been exposed to the latest and greatest software. Are you hiring a web designer or coder? Chances are the college grad you’re considering has played in a sandbox with the latest development tools, and worked with the most up to date methodologies. Now balance that with some good training and a team that new hire with someone who has some industry experience. That’s a great combination of growth and profitability. It’s always been common for students to work. Today, students are taking this to an entirely new level. While their predecessors worked in industries like retail and fast food to earn some spare change, there’s a good chance that the graduate you hire today has done that as well as earned side cash. Many students take work that includes mining bitcoin, website development, working for college writing services, driving for Lyft or Uber, even dabbling in social media management. This means they understand marketing, they can balance multiple income sources, and keep several plates spinning at once. They are natural entrepreneurs and self-starters. Yes, they may be naively idealistic. They may expect more feedback than your other workers, but there’s an upside to all of this. Their lack of experience, also means that they haven’t developed the bitterness, world-weary worldview, or sense of entitlement that some older workers have. They’re less likely to shut down new ideas, or to claim things didn’t work because ‘they’ve been tried before’. Again, this needs to be balanced with experience and the common sense that goes along with that. Still, these are the views and personalities required to get new ideas off the ground and to inject positive energy into a team. Lots of Baby Boomers and members of Gen X will complain that the younger generation is sheltered. After all, don’t we associate them with participation trophies, rec league soccer, playdates, and helicopter parenting? But, before you scoff, take a minute to consider what that means for your organization. It’s true that these young adults were more supervised. It’s also true that many of their playing experiences were highly structured. There are some important positives here as well. Younger workers are used to accomplishing things as part of a team. They understand collaboration. They are coachable and receptive to instruction. Your organizational culture is the combination of so many things. It’s the values you espouse, your policies, training methods, even the physical work environment you provide for your employees. Whether you want to create a hip, collaborative, open space with a flat management structure or you prefer a traditional, authoritative environment where everyone has the space they need to get their work done, there may be nobody better able to adapt than a recent graduate. Your best employees are going to be people who will sincerely buy into your values, policies, and company mission. What better choice than someone who is flexible and open-minded. Gen Z and Millennials have something in common. They prefer to do business with people they can relate to, and who share their values. In short, they like doing business with themselves. If your company targets members of these generations, you might do well to hire them as well. This is especially true for customer-facing positions, which is often the perfect place for recent graduates to start. If you don’t have a winning strategy to recruit Millennials, it’s time to create one. You could end up with a workforce that your target customers find much more relatable. There’s always been one undeniable benefit to hiring recent graduates. They work for reasonable rates. Yes, they need to be trained, but if you need a workforce to grow your business, you may find that you get more for your money taking on a trainee or two. New graduates are tech-savvy, team players, who can adapt to new environments. They take to training and coaching well, work for less money than their more experienced peers, and they haven’t become weary or bitter. If you’d like to introduce new energy and ideas into your business, consider hiring a recent graduate. It will be well worth the resources you invest in training and mentoring them. Daniela McVicker is a freelance writer, blogger, and editor at Grab My Essay and Top Essay Writing. She graduated from Durham University and has an MA in psychological science. Her passion is travel and finding ways to enrich students’ learning experience.